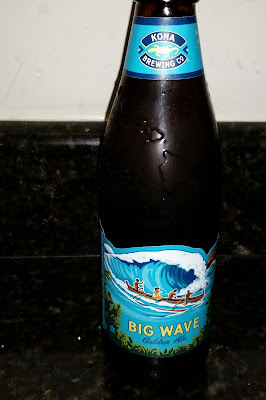 Kona Big Wave Golden Ale - AoM: Beer et al. In any case, it had a lovely floral smell, and it also smelled of hops. *At the time, I didn't realize I had already tried it. This has become a common occurrence of late: not remembering that I had already tried a specific brand of beer. Big Wave is an excellent choice after a day of snorkeling, surfing or just hanging out. Its lighter body and bright hop aroma and taste makes it a natural to enjoy with seafood, poultry, salads and light pasta dishes.